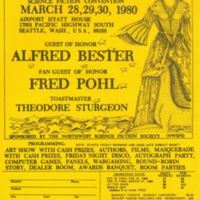 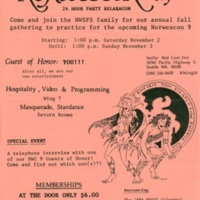 Advertising flyer for Norwescon 3. 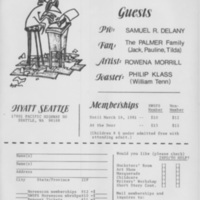 Artwork by Wendy Schultz (later Wendy Wees). 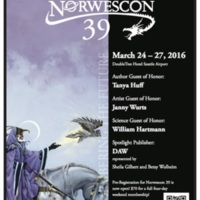 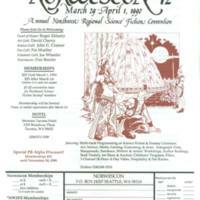 Quarter-page advertising flyer for Norwescon 8. 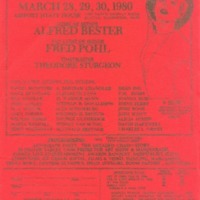 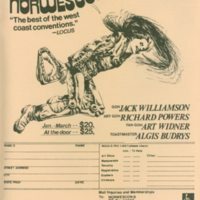 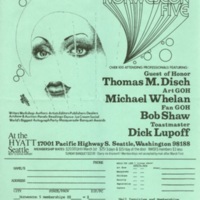 Front side informational, reverse side registration form. 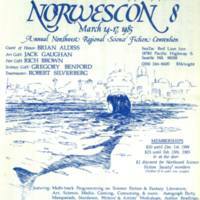 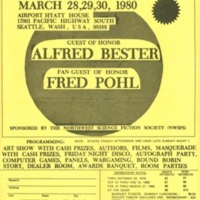 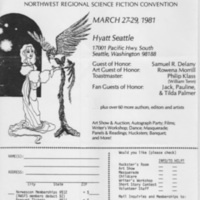 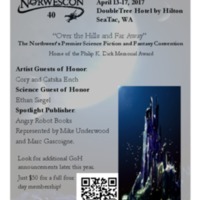 Advertising flyer for Norwescon 5. 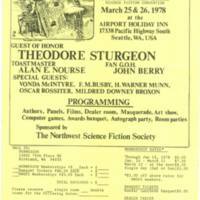 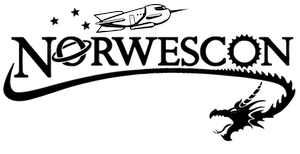 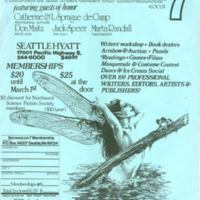 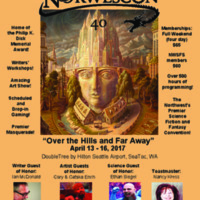 Advertising flyer for Norwescon 4. 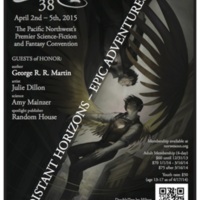 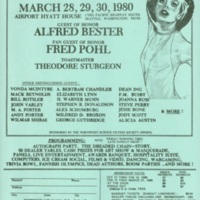 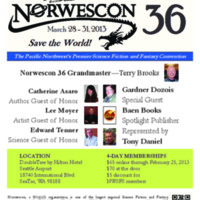 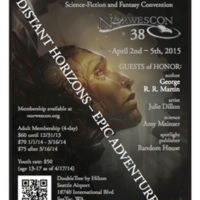 Advertising flyer for Norwescon 3.